Absolutely pure and contains no residues of solvents, heavy metals, or pesticides. HempRx is an organic and natural healing solution for a healthy and happy pet. Perfect use for small dogs and cats. An organic and pure solution for endocannabinoid system support. Natural healing for a healthy and happy pet. 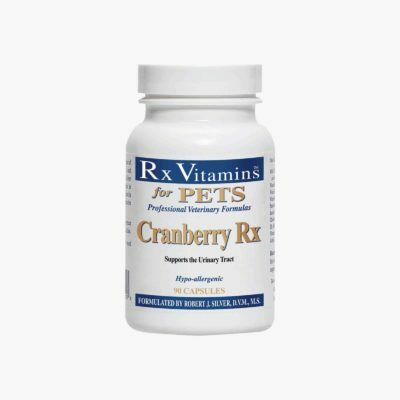 HempRx for Dogs and Cats (Rx Vitamins for Pets) is a professional veterinary formula of medical CBD for support of the endocannabinoid system in animals. The endocannabinoid system helps to balance and protect the nervous system and every organ in the body, including the skin and gut. HempRx is a palatable liquid extract of organically grown hemp. It has a slightly nutty flavor from the organic hemp seed oil, and a slightly floral taste from the many plant terpenes. It contains a total of 375 mg of Phyto-Cannabinoids per bottle and provides 0.5 mg per drop. HempRx is bottled in an FDA-compliant cGMP facility, and meets the high standards of manufacturing quality control required by the National Animal Supplement Council (NASC.cc). The extract is pleasant-tasting with a slightly nutty flavor from the organic hemp seed oil and a hint of floral taste from the many plant terpenes it contains. Post-production analysis reveals no heavy metal residues, and no pesticide residues, since the hemp crop is grown without pesticides and herbicides. HempRx contains less than 0.03% THC, therefore posing no risk to dogs and cats who are very sensitive to the adverse effects of THC. Cannabis oil is derived from the marijuana plant, which contains 80 different cannabinoids, including THC (the psycoactive component) and CBD (cannabidiol – the medical component). Cannabis oil has no psychoactive effect on dogs when dosed properly because there is little to no THC. Please reference our HempRx Analysis for more information. *Note: HempRx should be administered twice daily. Do not use if tamper-evident seal is broken or missing. Refrigerate after opening. Use within 90 days of opening. What is the proper dosage for my pet companion? Dosage depends on your cat’s or dog’s weight and the product they’re taking. We’ve created a detailed dosing chart to help you determine the best dosage for your furry friend. *Note: HempRx, HempRx Forte and HempRx Soft Chewz should be administered twice daily. CBD and THC are both medicinal components of the cannabis plant. THC causes a ‘high’ and CBD does not. These are both the same plant but differ in the levels of THC and CBD present. Hemp products are from cannabis plants that has very low levels of THC and high levels of CBD. Marijuana products are from cannabis plants that have higher levels of THC. Is there THC in HempRx? Both products contain less than 0.3% of THC. This means that neither product will cause a high in your pet. What are the possible side effects of HempRx? 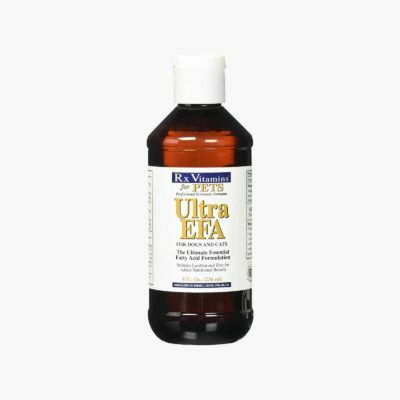 Both products are generally well tolerated in cats and dogs. As with any supplement taken orally, digestive upset is possible in the form of vomiting or diarrhea. Please consult your veterinarian before adding any supplement to your pet’s diet. I want to help you! Please email me at [email protected]!